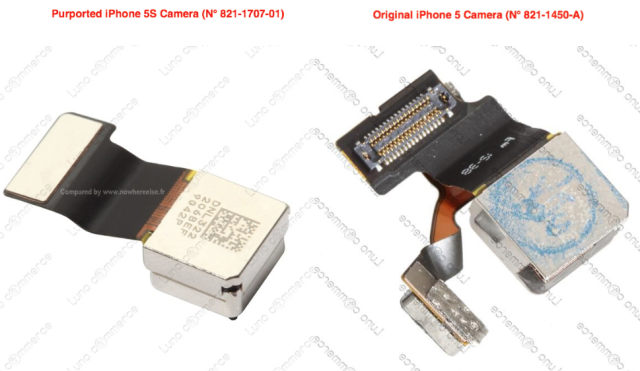 The French Nowhereelse.fr points to a Chinese retailer Luna Commerce publishing pictures of the alleged iPhone 5S camera module. Apparently Apple’s next-generation iPhone could have its LED flash component completely independent from the lens. 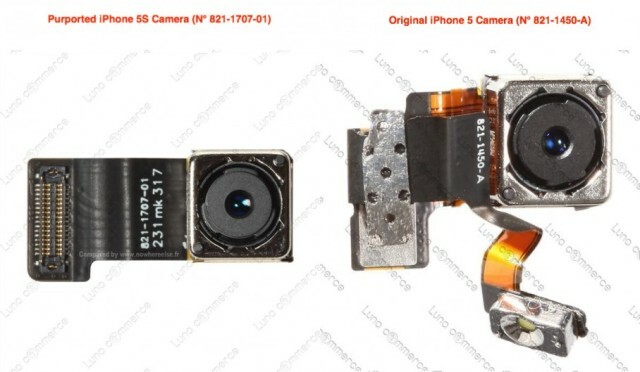 The above image — as you can see — shows a standalone camera attached to a ribbon, while the iPhone 5 has a ribbon attached to the same iPhone part. 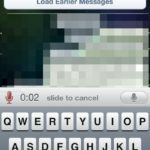 There were rumours suggesting that the iPhone 5S would sport a dual-LED flash, and not a simple flash as does the iPhone 5. If the above is genuine, it would appear to confirm the rumour, as the connectors could differ. Also, the part does not give any indication about the quality of the leaked camera, although the iPhone 5S is expected to feature a 12 MP camera with an improved night-shooting. The latest camera upgrade was done when Apple decided to go with an 8 MP lens and added a sapphire lens assembly. The iPhone 5 also sports an 8 MP camera.